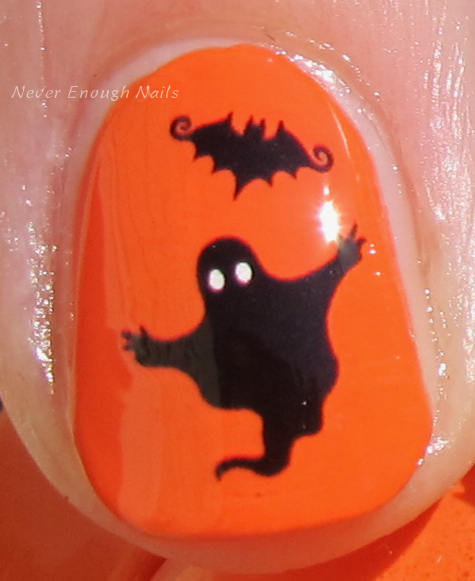 Never Enough Nails: Fun with Halloween Decals! I somehow lose track of October every year. I always think I have all this time to do Halloween manis and decorate the house for Halloween, but then all of a sudden, it's October 22nd and I haven't done anything!! So I decided I HAD to do a Halloween mani today. I ordered these decals from Born Pretty Store last October but got them after Halloween, so I hadn't tried them yet. I used Sally Hansen Tribal Sun as my base, it's a perfect pumpkin orange! I love these decals. I know some people aren't crazy about them, but I think they're fun for holidays and quick festive manis. I used a witch glitter and some small glitters from a loose mix Lynnderella sent out with the Halloween duo (post coming tomorrow!!) on my middle nail. The end result is cute and great to get me in the Halloween spirit! These water decals are available at Born Pretty Store. 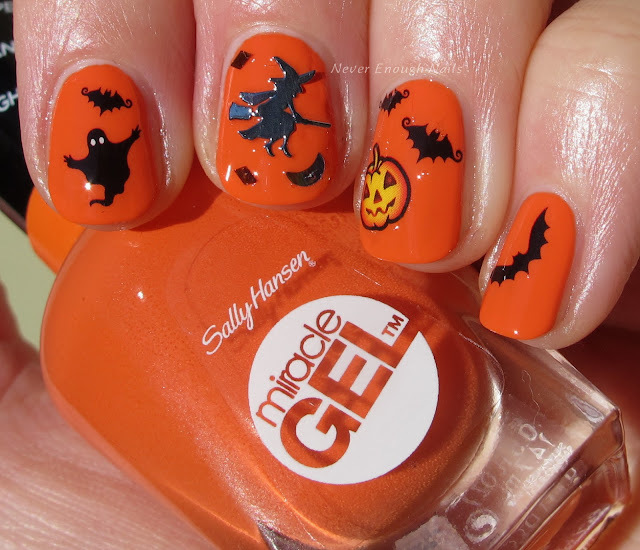 I hopefully will have some more Halloween manis coming up! New Zoya Winter/Holiday MatteVelvet Swatches!! Barielle 25% off and free shipping! 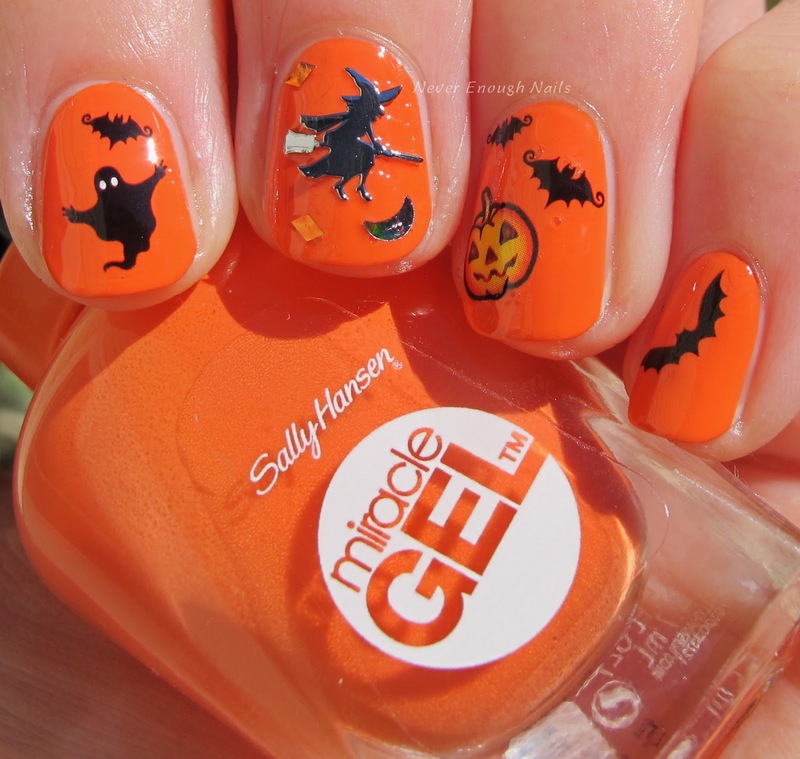 Sally Hansen and NYC Halloween Polishes!